Pilgrim paths can be found everywhere. 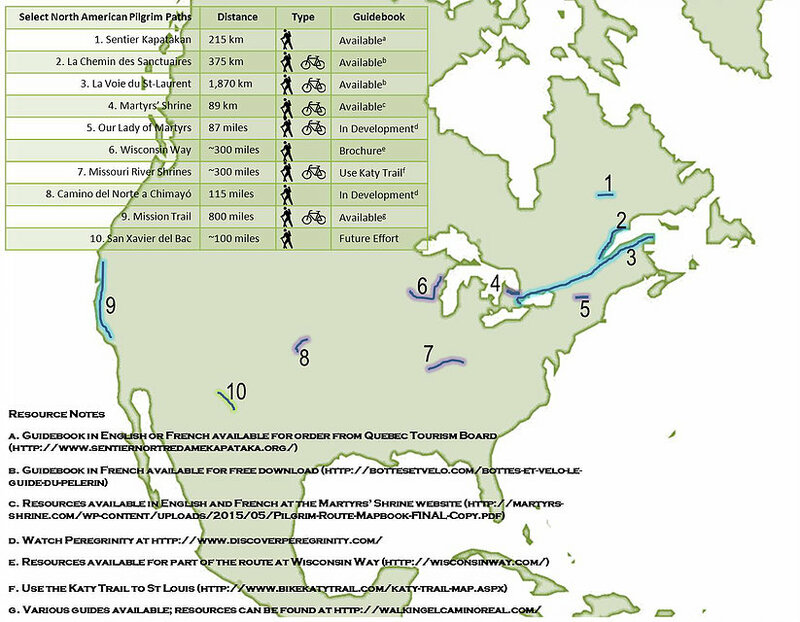 Below you’ll find a map of some of those paths in North America plus the resources we know of for that path. We urge any pilgrim that wants to explore these paths to do so, under their own volition. From time-to-time we do lead exploratory pilgrimages, on these and other routes. We aim to be a repository for spiritual pilgrim resources, so please share any that you find or create on your own with us so that the next pilgrim may utilize it as well.